For your next game night, whip out a deck of cards that's both beautiful and empowering. 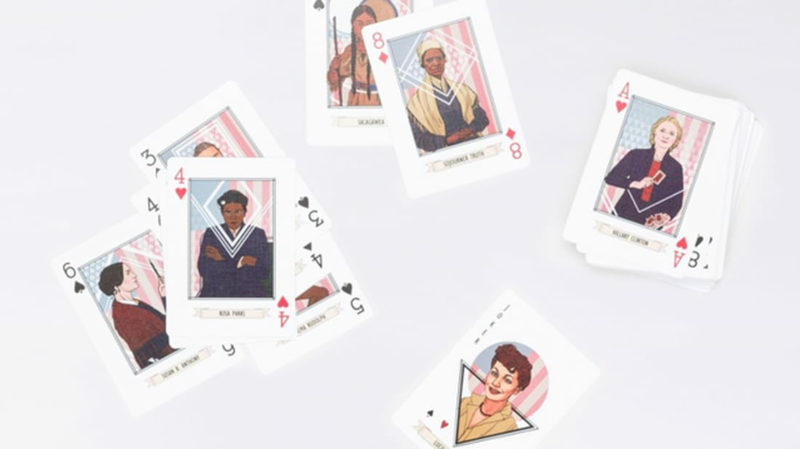 Designed by Zach and Zebby Wahls, all 54 of these cards comes gorgeously illustrated with important women from history. You can find Hillary Clinton on the ace, Harriet Tubman on number eight, Lucille Ball as the joker, and Beyoncé naturally as the queen. There are 15 original illustrations in all, with plenty of trailblazing ladies like Gertrude Stein, Sylvia Rivera, Sojourner Truth, and more. You can grab a pack for your next poker night on Wild Fang for $20. For more cool playing cards, check out our full list.